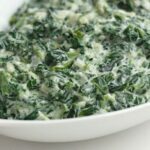 Creamed spinach wasn’t something I craved growing up. Spinach was yucky to me. It was green, it was slimy. But my taste buds, thank goodness, have matured and I not only love spinach but it is great for your skin, it has Beta carotene your eyes. 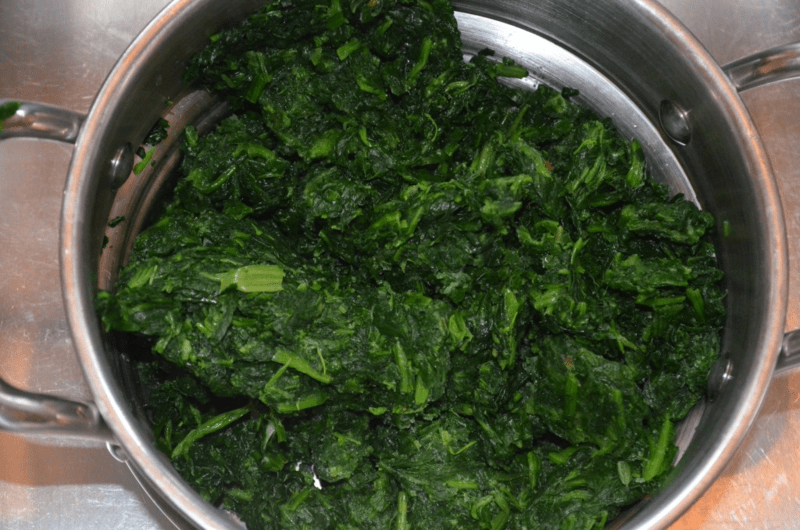 The folate in spinach relaxes the blood vessels so it’s very good for those with high blood pressure. I could go on and on. Spinach is just a powerhouse. 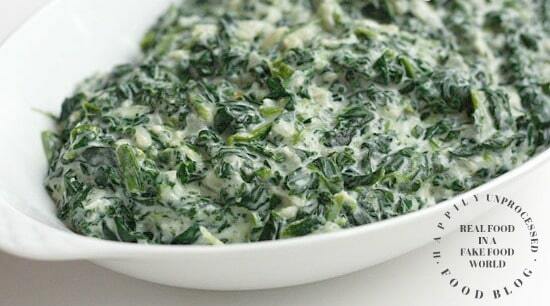 And creamed spinach is a super fast side dish to make too. I like to use frozen spinach for this recipe. It’s just easier. 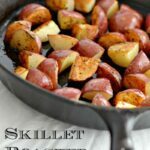 Before you add it to the recipe though, make sure it is fully thawed, drained in a colander and then squeezed dry with paper towels. And I mean S-Q-U-E-E-Z-E-D dry. While the spinach is draining the next step is to make a simple roux. Melt some butter in a saucepan and saute some onions until they are translucent. 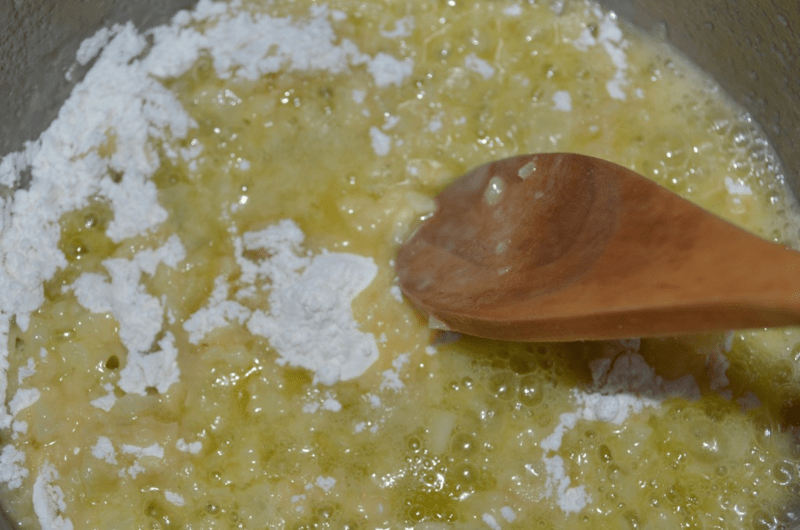 Add the flour to the saucepan and continue to cook it while whisking or stirring for a least a minute or two. 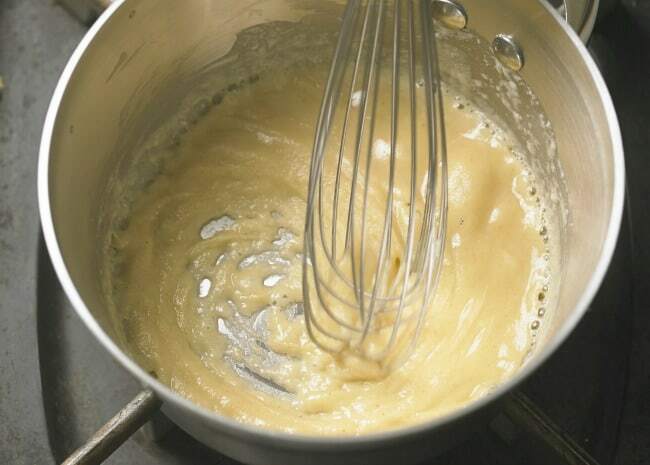 Add the warmed cream and milk slowly, whisking constantly so no lumps form. Add the spices and test for seasoning. You may need to add a little more salt and pepper. Keep adding the cream and milk until it’s gets nice and thick. Lastly add the spinach and you have now just made creamed spinach! 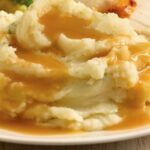 This tastes nothing like the frozen kind, so if you had that growing up as a kid and have some traumatic past memories coming up, it’s ok.
Take deep breaths and try this recipe and you will rediscover why creamed spinach is a very popular staple on many dinner tables. Of course it has to be delicious! All those marvelous fresh ingredients!